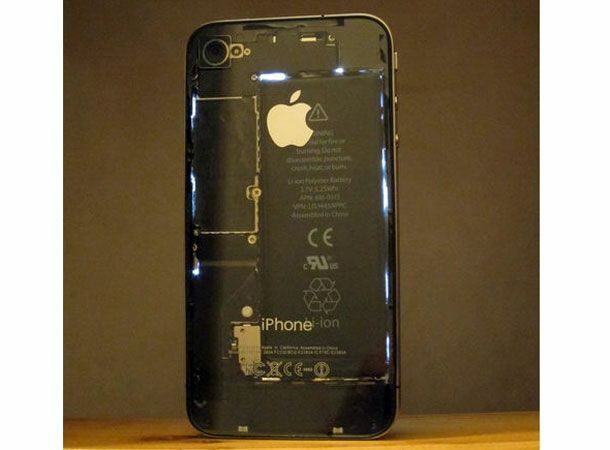 Following news that the white iPhone might finally be heading into stores on February 27th, one impatient Apple fan has unveiled his own iPhone 4 adaptation sporting a completely see-through shell. The latest case modification has built on the custom white iPhone kits available trading out the iPhone 4's gloss black front and rear sections for a sheer, clear, completely transparent counterpart putting the device's innards on show for all the world to see. Sadly Apple's classic and enviable design skills have not been extended to the innards of the iPhone with fans looking to give their Apple blowers and see-through makeover being offered a view of a black mass of covered electronics and a battery. Having hit the UK back June the black iPhone 4 was expected to land alongside a white counterpart. Sadly the lighter-hued model has been struck by repeated delays and mysteriously unexplained postponements. Earlier this week it emerged the white iPhone 4 could be heading for release next month after Vodafone Germany and Best Buy in the US leaked imminent launch information. What colour of finish would you like to see rocked by the iPhone 4? Let us know via the T3 Twitter and Facebook feeds and stay tuned to T3.com for all the latest on the White iPhone 4 arrival.